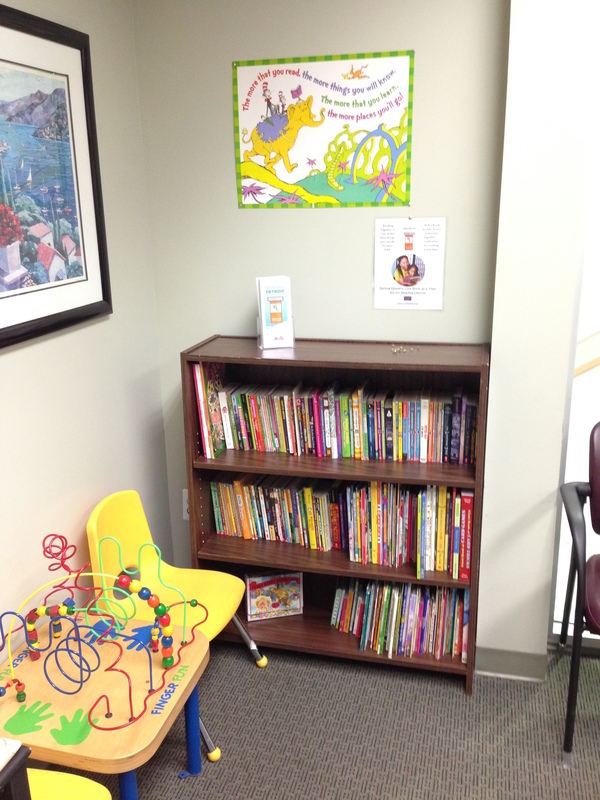 RX for Reading at the Arab American Chaldean Council Behavioral Health Clinic! Thank you to the Arab American Chaldean Council for hosting our latest RX for Reading Clinic Library in their Behavioral Health Clinic on 7 Mile. The space is lovely, and as soon as the library was up and running Chastity picked out her book–Young Harriet Tubman–to read and take home! Many thanks to University of Detroit Mercy undergraduates Joe Gifford and Sara Zawacki for setting up the library and to the Director of Behavioral Health for the ACC, Carmen Sarafa, MA, LPC. ← Thank You to Bryant Middle School! I’m glad to see RX for Reading grow. 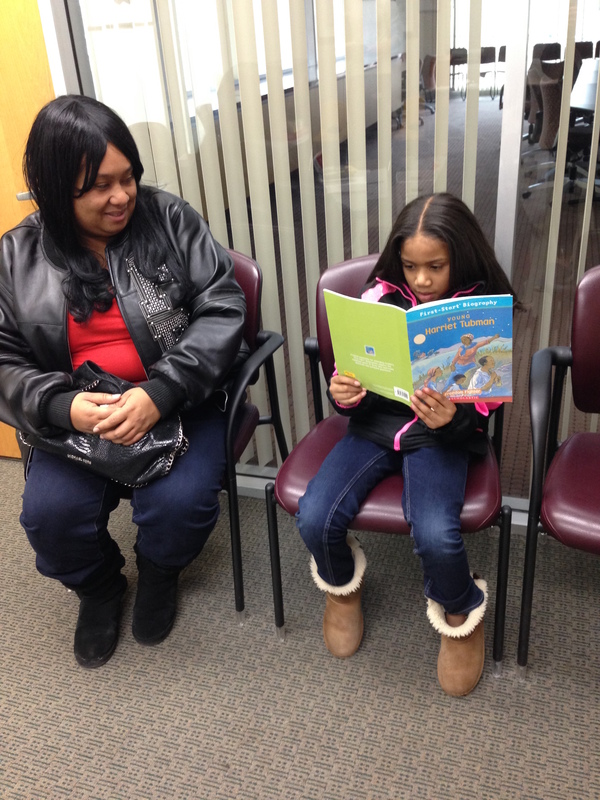 What a wonderful way to share the importance of reading!